Hestia is an energetic, kind goddess who sees potential in Bell. She is a hard worker, and works jobs to support the two while Bell goes off to the dungeon. Hestia tends to be shown as very petty and gets jealous easily when girls, namely Aiz, show interest in Bell, because she is deeply in love with him, or they are the reason for his strength growth. 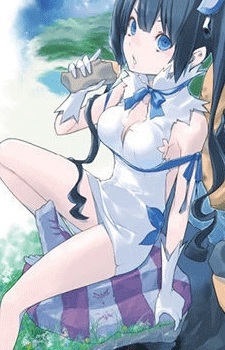 Despite seeming mature and dependable toward Bell, Hestia is in truth, a lazy goddess, as she couldn't get a job or put effort into work until her friends kicked her out.